During our Thanksgiving Food Drive, which was sponsored by our National Honor Society members and St. Vincent de Paul officers, our students, faculty, and staff donated a total of 2,060 canned goods to BCMW in Breese and $150 to House of Manna in Breese. We thank the Mater Dei family for their generosity! 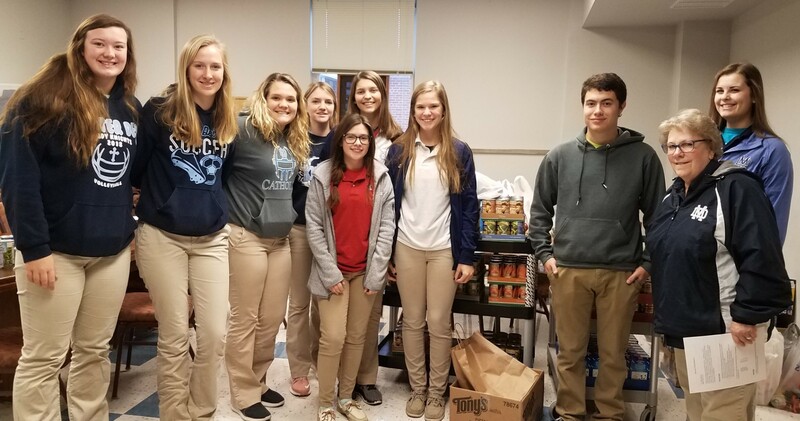 Pictured organizing canned goods during our 2018 Thanksgiving Food Drive are (from left) Carlee Wise, Amy Boeckman, Maci Dumstorff, Angie Carey (back), Abigail Kay, Carly Etter (back), Jordyn Priebe, Sam AuBuchon, NHS moderator Mrs. Deb Foote, and Abby Brandenburger. 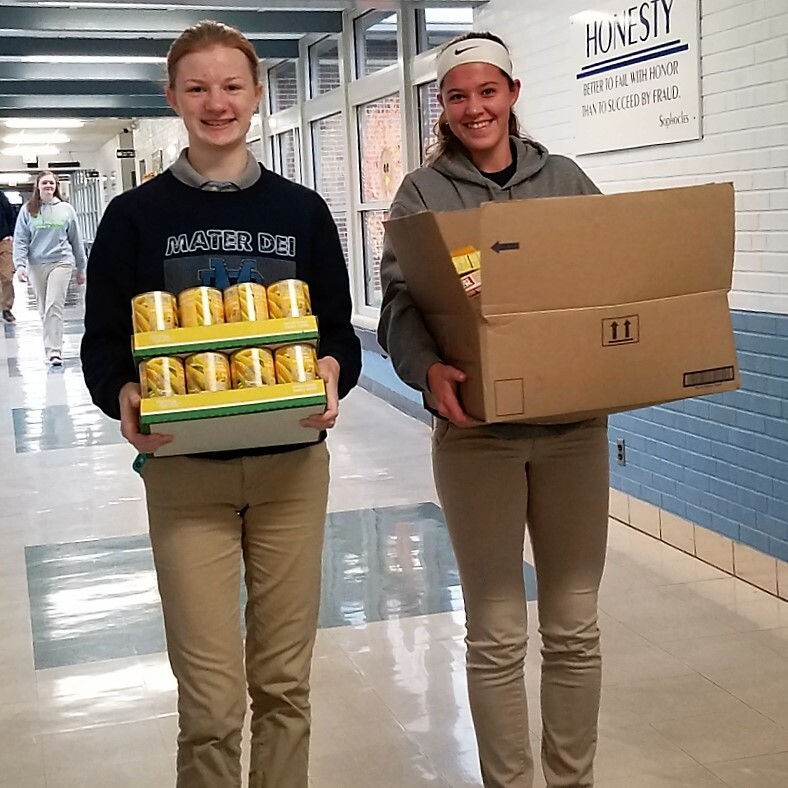 Pictured collecting canned goods during the 2018 Thanksgiving Food Drive are Katie Toennies (left) and Meredith Innes.